Motivist Japan works with the following Japanese language schools. Those schools have been carefully selected to offer our students the most efficient programs. With our language schools, we share the same vision: that our students achieve their goals. When trying to choose a school, the location is obviously a major criteria – and we have covered all of Japan, from Sapporo to Kumamoto and Okinawa. But each school has specific features so we recommend you take the time to review each descriptive page. We are constantly updating this page so make sure to visit it often, until you have chosen the right school. 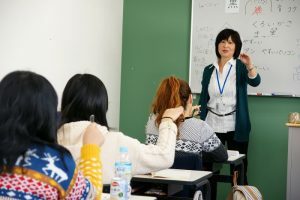 Located in the lively student area of Takadanobaba, Shinwa Foreign Language Academy provides everything you can expect from a Japanese language school. Its main asset is a thorough and ongoing personalized guidance to help students improve their skills and prepare life after the language program. International Study InstituteOne of the most renown Japanese language schools. Curriculum that fits your needs, whatever they may be. In the heart of Tokyo, at Ikebukuro or Takadanobaba. Founded in 1986 with the aim to cultivate Japanese language as a communication means for foreign people involved in business, ARC means “a bridge to the world”. In order to respond to this diversifying needs for Japanese language education, ARC Academy aims for opportunities to communicate with people from all around the world. JCLI Japanese SchoolJCLI is rich of a history of over 30 years. Its goal is for students to be able to study Japanese in a school environment that is tailored to their needs. 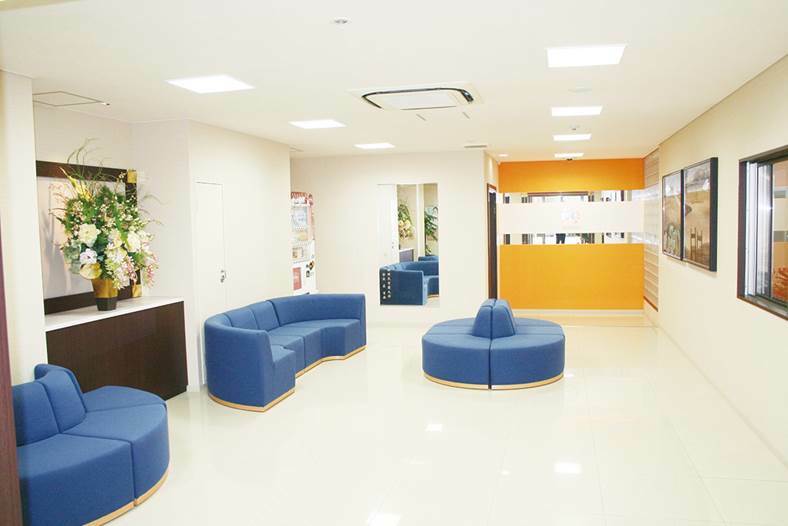 Located in Shinjuku, in brand new buildings, this school has a friendly atmosphere where students and teachers can communicate with each other freely. The educational philosophy of Waseda EDU Japanese Language School is to educate people of world-wide countries trying to learn Japanese and Japanese culture, to eliminate prejudice and discrimination based on humanity, nationality, language, etc.. Founded in 1988, Kudan features a variety of Japanese programs. Its philosophy is to foster pro-Japan people and promote understanding about Japan. Kudan strives to offer the education and experience which can only be acquired in Japan. In a very nice and “design” environment, TLS teaches more than just the Japanese language : choose elective courses to prepare yourself for the business world or for a new career via one of 70 vocational schools belonging to the same group. TKCG has implemented 600 hours education program to comply with variable needs and recent trend requested by learners, and has provided excellent educational environment by carrying out high-quality and efficient teaching and learning method conducted by high motivated teachers and staffs. In the great city of Yokohama, learn Japanese and prepare for the next step of studying further Art. 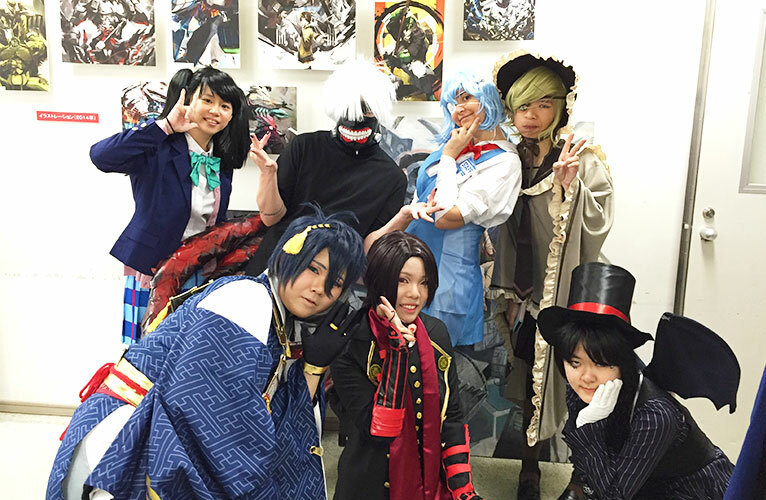 Manga, animation, design … Your career is all planned out as soon as you start learning Japanese at Yokohama Design College! In the center of Chiba city, Tokyo One Japanese Language School Chiba prepares you for further studies and finds you an arubaito. 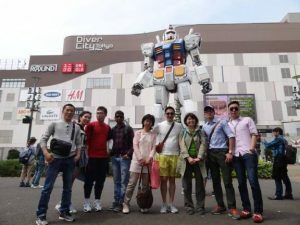 Located in Makuhari, in Chiba, near Tokyo, this is the perfect place to enjoy both the Capital and the opportunities it provides, while enjoying a cheaper and less hectic lifestyle. 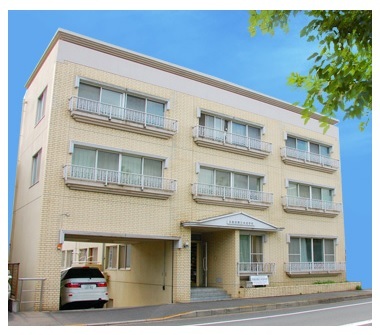 In Chiba but near Tokyo, Matsudo International School will provide you with everything you need to learn Japanese in the best conditions. 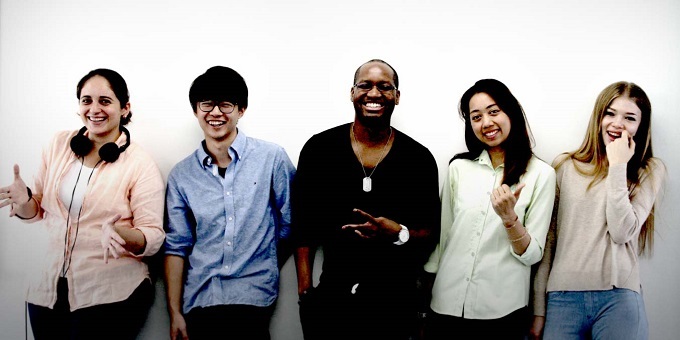 The students of Futaba often aim at pursuing higher education in Japan. Located near Tokyo, but in a quieter and cheaper environment than the capital. ARC Osaka is a mere 5 minute-walk from the south exit of Nankai “Namba station” in the area called Minami in Osaka. 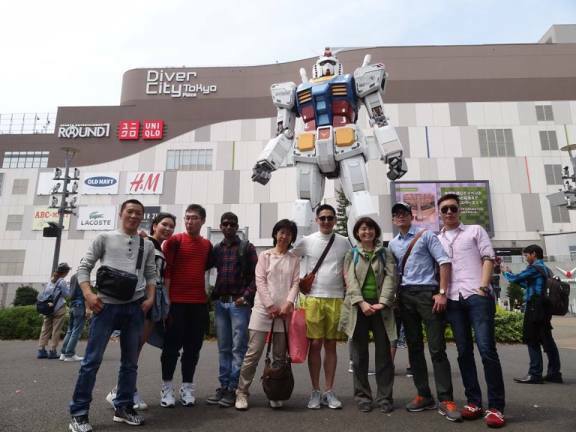 “Namba Parks,” which is located 1 minute away from the School to the west is a famous spot, complete with shopping and dining places and movie theaters. Excellent teaching combined with great facilities and services to assist students in the school, and in their daily life in Japan. Everything you need to learn Japanese and its way of life, this school will provide. That also includes a part-time job, which J-com ensures to find for you. 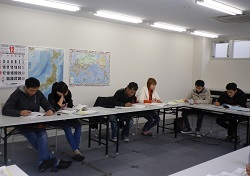 Class formation with a small number of people based on each person’s ability for Japanese and their respective purpose. Students can be confident they will pass the Japanese Language proficiency test and university entrance examination. ISI is also in the beautiful Kyoto. The Kyoto campus is brand new, having opened in 2017. What better place than Kyoto to be immersed in Japanese culture and traditions? The Kyoto branch of ARC is located in Gojo Karasuma close to the center of Kyoto, Shijo Karasuma. It is an area convenient for shopping and sightseeing. Outside of the fun lessons, one may thus also spend the rest of the time enjoyably! Located in the beautiful city of Kyoto, Kyoto Minsai will provide high-quality teaching while taking good care of its students. This school is known for its “family” atmosphere. Overall, the perfect setting to learn Japanese. 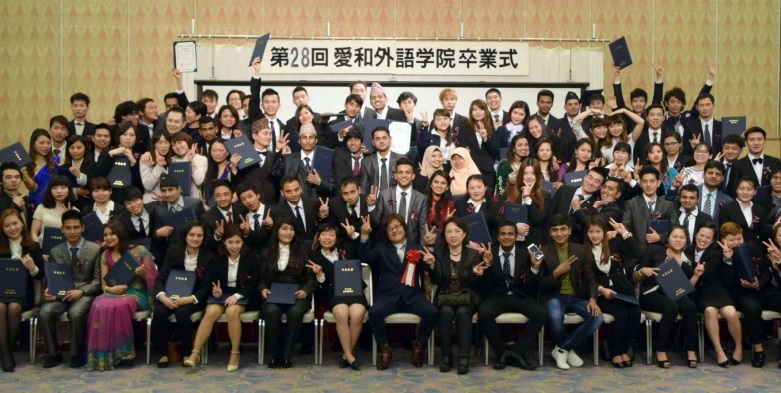 Nagoya SKY supports students who aim to improve their career with Japanese language. It also cultivates international friendship through Japanese education. A traditional school. One of Genki JACS’s unique features is the number of students per class. Never more than 8! The Fukuoka campus is the main campus and provides long-term programs for student visa holders. Short-term, long-term, from 14 years old, anyone’s welcome! 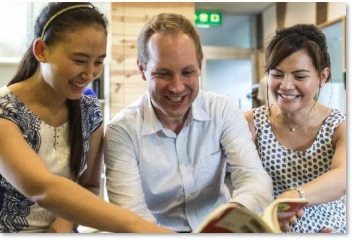 NILS Japanese Language School provides courses in a great environment. Make the most of full immersion in Japan. 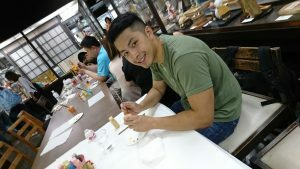 Learn Japanese in an amazing city, Fukuoka. Aiwa provides competitive prices. Whatever your goals are, learning Japanese at Aiwa is a good solution. Established in 1986, JLI’s history and achievements have won the trust from students all over the world. 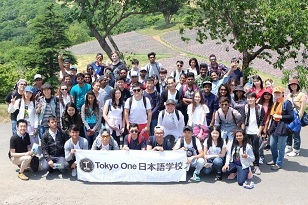 JLI is the number one Japanese Language Institute in Hokkaido and has the most student enrollments. 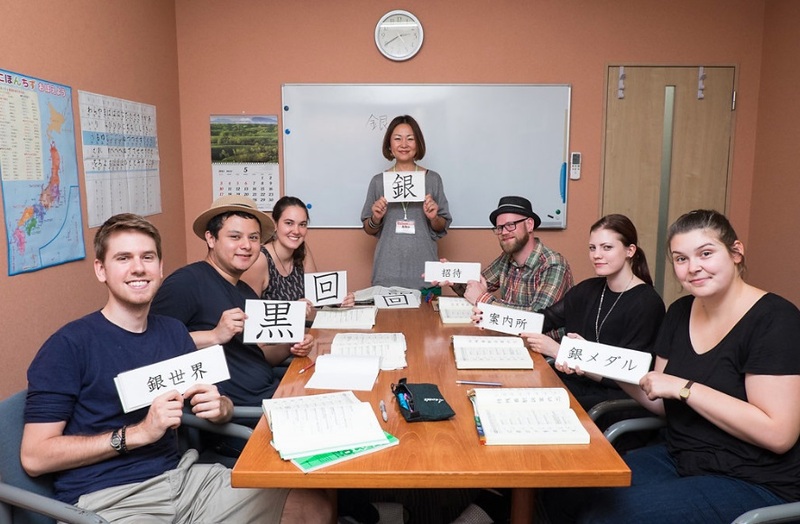 HJLA has a variety of curriculum where one can communicate with many Japanese people and experience Japan through not only daily classes, but also events to learn appropriate, natural Japanese. The school also has a wide variety of extracurricular activities to experience life in Japan. The famous Tokyo school ISI has a campus in Nagano, the renowned Olympic city. Perfect for winter sports! Learn Japanese in a quiet environment, closer to nature and away from the tumultuous capital. By studying at Hiroshima YMCA, one benefits from living in a very pleasant city while having a lot of opportunities provided by YMCA to contribute to the local cummunity and make your time at the school all the more enriching.